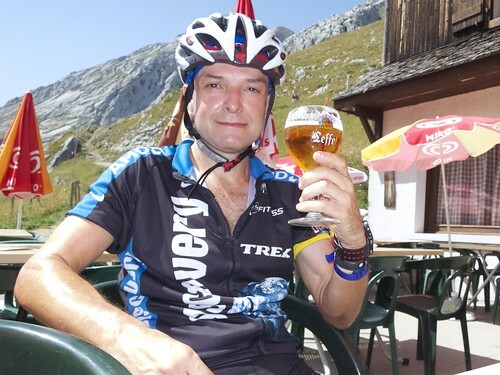 A recurring rant: Cyclotourists (understandably) come to the alps and focus on the famous climbs, usually cycling the Route des Grandes Alps. Of course, this makes some sense, hitting the biggest or most famous hills …. but it often means skipping worthy and far quieter alternatives. 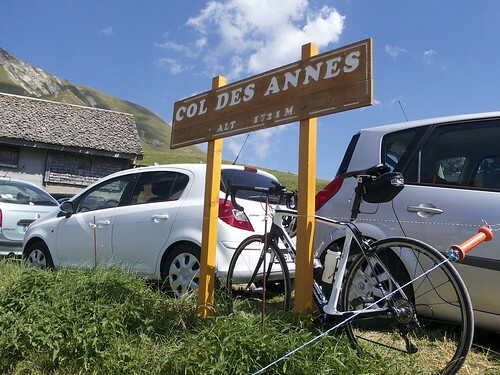 Col des Annes starts just below Le Grand Bornand (which is on La Route des Grandes Alpes). 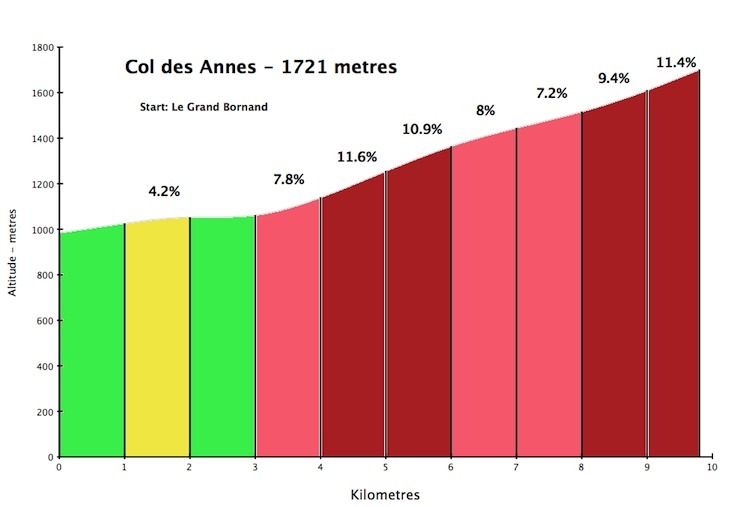 10 kilometres long, it starts off easy enough and then becomes brutally difficult – with an ever varying grade and several ramps with % grades in the teens. 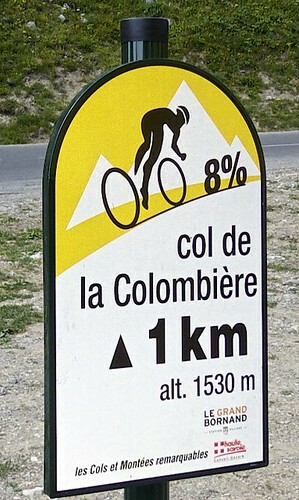 After wheezing to the top of Annes, I descended and decided to climb the south (easier) side of Col de la Colombière. 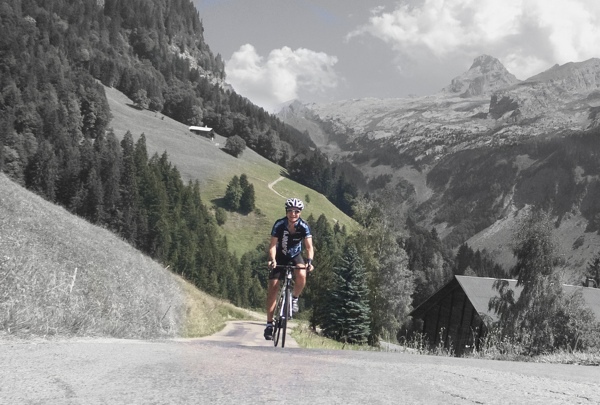 Eleven kilometres, and seldom steep, my legs thanked me for something a little more relaxing than Annes. 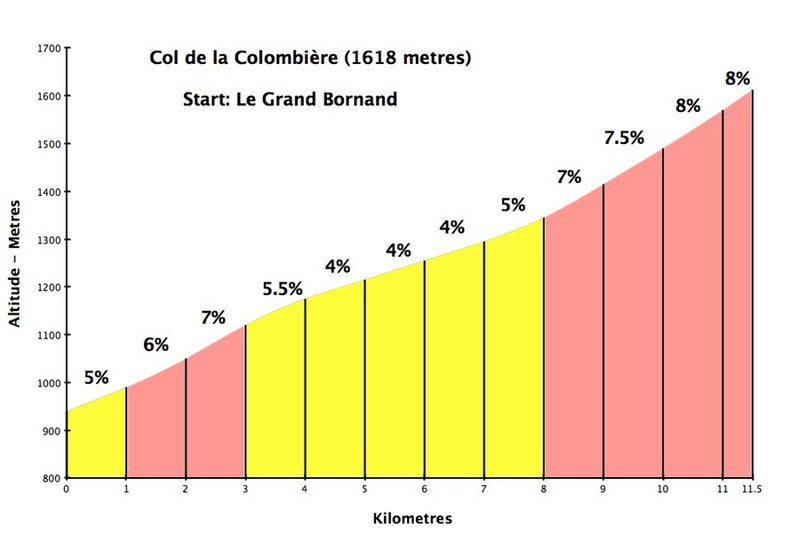 The last two little photos just to the left are from last week, as I climbed both sides of Colombière – including the super hard Romme detour – but didn’t blog it — as I have written about it so many times – see below for some links.